I have a thing for margaritas, especially fruit margaritas because it gives me another way to add fruit to my diet. Yeah, you caught me, that's boloney [sic], I just like margaritas. If you do too, today's your lucky day. I have a great one for you. 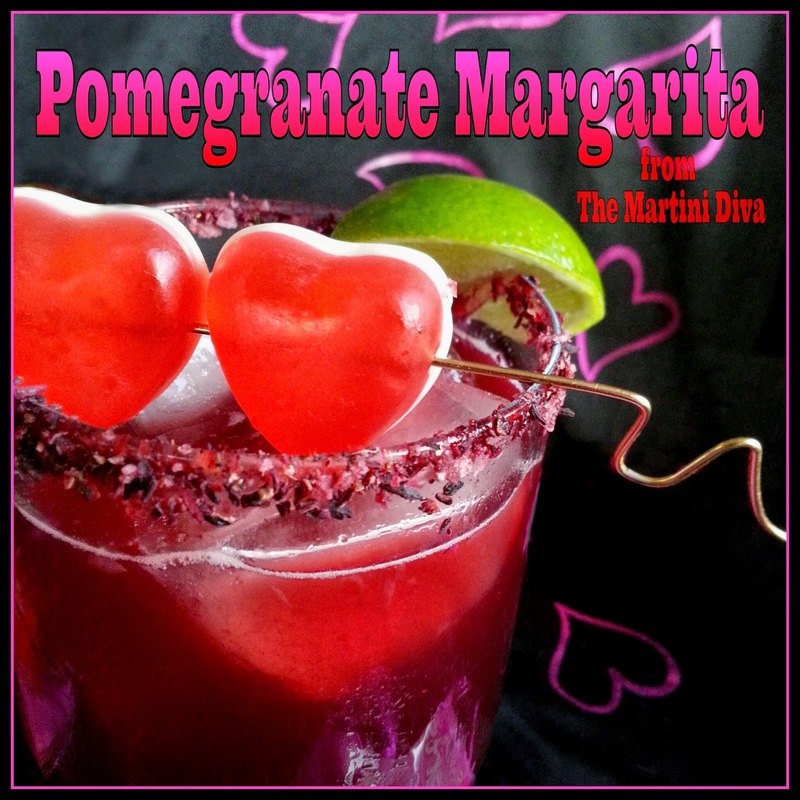 For some reason I have not posted up a Pomegranate Margarita recipe which is odd because I make them a lot at this time of year because pomegranates are in season. In addition to pomegranate juice, this recipe makes use of my Homemade Pomegranate Syrup, which is more familiarly known in cocktail circles as Grenadine. There is nothing similar whatsoever between my homemade syrup and those commercial syrups you find in most bars. Mine actually tastes like pomegranate and makes a superb flavor replacement for agave nectar or simple syrup in this cocktail. It also gives you a way to infuse pomegranate into cocktails out of season. Plus it's a rich, deep red color making it perfect for a deep red Pomegranate Valentine drink! 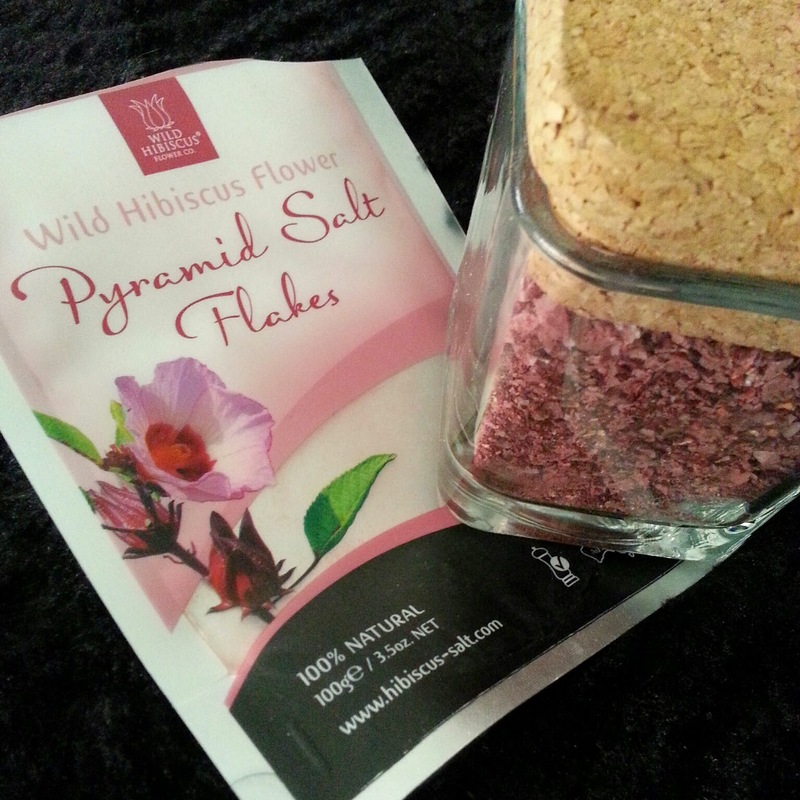 Dip your glass in some of the pomegranate syrup then into the Wild Hibiscus Salt Flakes. Mine were kindly sent to me by Wild Hibiscus Flower Company. This gives you a sweet, tart and salty rim that works well with this cocktail. Add the 1800 Tequila Reposado, Grand Marnier, lime juice and pomegranate syrup to a cocktail shaker or pitcher, stir. Fill your glass with ice and pour in the pomegranate margarita. If you're doing a Valentine version. Slide a couple of heart gummies onto a cocktail pick, set this across the glass then slide the lime onto the rim and serve. (Interestingly, the tart, sweet gummies pair well with this tart, sweet cocktail.) If you're serving this any other day of the year, just toss a few pomegranate arils on top of the cocktail. Yes, you can add some to the Valentine version too. WHEN I SAY FRESH, I MEAN FRESH: I'd like to insert a little rant here about bottled lemon and lime juices or "lime cordials". I hate them. They taste awful and will make your cocktail taste the same. It only takes a couple of seconds to slice a lime or lemon and squeeze out the juice and it makes a world of difference to your cocktail! Take the time! The "cordials" also add sweeteners, mostly corn syrup. You can sweeten your cocktail with nectars, honey, reduced fruit juices or homemade fruit syrups like I did here. 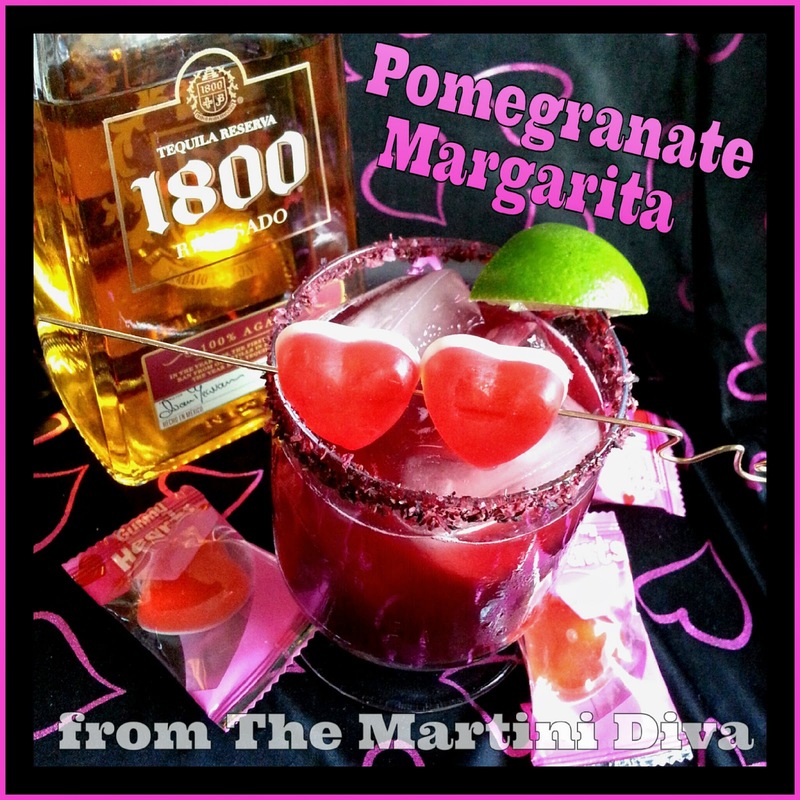 Go enjoy your lovely, FRESH, Valentine themed Pomegranate Margarita, I'm a few ahead of you but I couldn't wait. *QUICK REVIEW OF CUERVO 1800 TEQUILA The 1800 Reposado from Cuervo is a mid quality tequila made completely from blue agave which gives it a leg up on Cuervo Gold. Definitely not a sipping tequila, but it blends quite nicely with tart fruit juices like the pomegranate, pineapple or grapefruit. I tend to use Blanco for milder fruits like cherry, blueberry, peach or orange. The 1800 tequilas (Blanco, Reposado, Anejo) are my go-to bar tequilas, well priced for a 100% blue agave at around $25, and the bottles are kinda cool with corked glass stoppers that give them a nice decanter look.